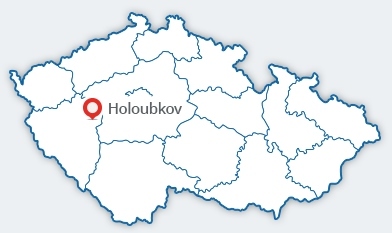 Company Policy | DCK Holoubkov Bohemia a.s.
Meet all the requirements of our customers in required quality and deadlines. Familiarize our customers regularly with new products in our offer and work with them when designing new products. Innovate and improve our products and technologies continuously, and extend the range of the products and technologies with the view of being best in the manufacture of switchboards. Develop continuously and improve the Integrated Management System and control of the company through regular inspections of activities, analyses of results achieved and through drawing the appropriate conclusions. Improve the level of the qualification structure of our employees through theoretical and practical training in assuming new technologies and by selecting eligible employees for vacancies. Prevent defects in all activities of our company by detecting early the possible causes of their occurrence in all phases of preparation and execution of products, technologies and services, and prevent defect reoccurrence. Encourage all our employees to strive to achieve zero defects. Improve the working environment continuously, reduce the work intensity, and especially prevent industrial accidents while simultaneously minimizing the safety hazards. Motivate the employees and business partners to an active approach and observance of the environmental protection rules, and minimize continually any adverse impacts of our activities on the environment. The company was established in 1953 with focus on concrete products. In the 1960’s, manufacture of thin-walled concrete low-voltage switchboard cabinets developed in the company as the core scope of business. At present, production is concentrated on all-plastic design outdoor low-voltage switchboards for power distribution companies.